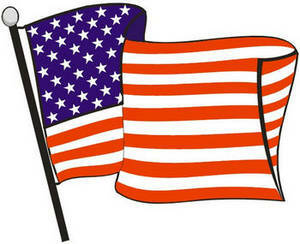 Description: Free color clipart illustration of the American flag. This graphic shows a deeply, saturated, United States flag. The flag is waving with a black flag pole.WP Clipart.